Very simple? Look at you Ms Modest. 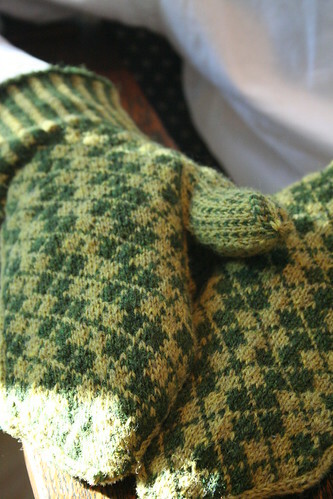 Oh, I cannot wait to make these mittens. Can’t. Wait!!! Thank you for the lovely mitten pattern! Gorgeous mittens! And what a fun time you must have had. 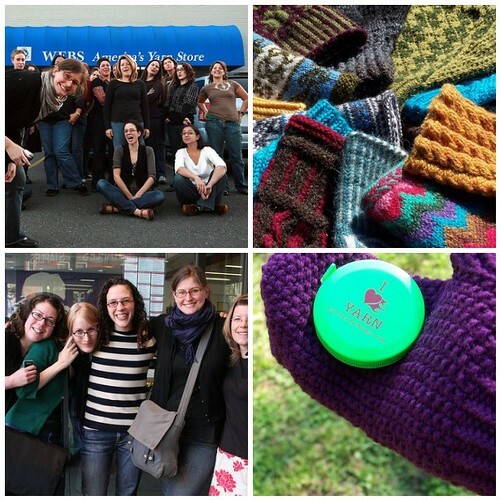 I’m a Boston knitter myself, and have never heard of WEBS before — looks like a weekend trip is in my future. Gorgeous mittens. With all that knitterly goodness close by it’s no wonder I spent time stash-diving and getting new projects ready to go. What a fun meetup! Those mittens are awesome! LOVE your mitten pattern! I need to knit these, even though I have no reason to knit mittens I will deffiantely knit them up & make them a present. Great design! My only sorrow about the weekend is that we could not get A & B together. Oh, well, perhaps some other time? It was great to meet, talk and hang out with you, I wish there could have been more of that! Let me know if you find yourself up this way again for vocational purposes. It was a delight to see you again, sweetie! Your mittens were SUCH a perfect match to Julia’s style. YAY! Looks like y’all had a really fun weekend! Those argyle mittens are great. Thanks for sharing the pattern! It was so awesome to see you again! Such fun times! mwah! Thanks for the sweet words, E! 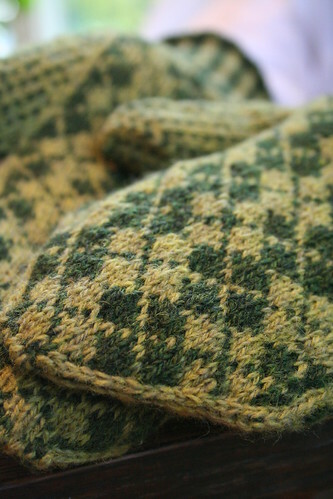 And for the Vespergyle pattern–immediately queued. oh, it looks like so much fun!!! 🙂 you ladies always cheers me up with your smiles and handknits. the vespergyles are awesome! my hubby loves argyle. maybe i can be convinced to knit these up for him. Such pretty mittens!! I love the colors!! Sounds like a wonderful meet up! You have the best meet-ups ever!!! i so know what my next mitten project will be! thank you!! wow, wow! your argyle mittens are stunning. great combination of yarn, colour and pattern. i have to make these. You need to come visit again soon! So much fun.